Earlier this year, Verizon told us that they would begin to deploy their recently acquired AWS LTE spectrum before we hit 2014. That time is now, as Big Red has confirmed to a number of publications that AWS LTE (band 4) is being activated in a number of major markets, New York City being one of them. 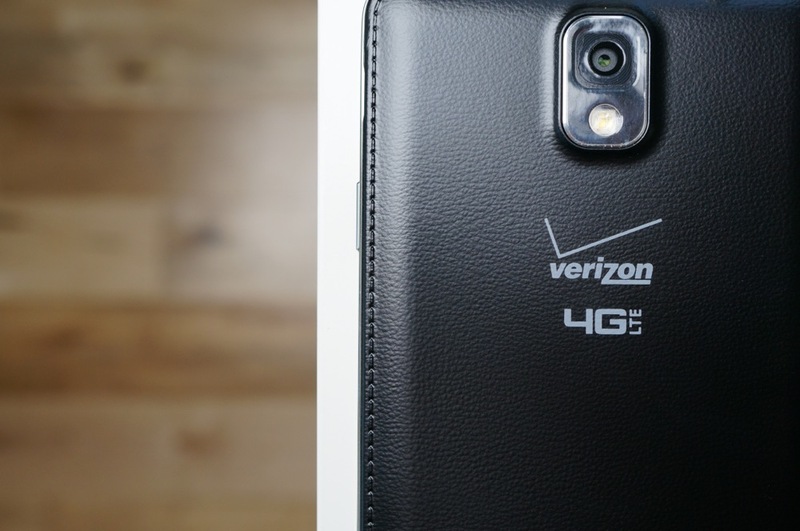 Most of Verizon’s current 4G LTE network operates in the 700MHz frequency, better known to many as band 13. As you know, their rollout of this band 13 network is largely complete, so up to 5,000 AWS sites will go live to help strengthen the network and ease-up on the capacity demand. According to a variety of members over at Howard Forums and a contributor to GigaOm, that deployment in parts of NYC is currently producing wild speedtest results, often topping out at around 80Mbps on the download. Upload speeds are sitting around 15Mbps, so the extra-high download speeds could simply be that few have devices to take advantage and the network hasn’t had a chance to come back down from the clouds. Either way, this shows you an early look at how impressive Verizon’s LTE network could become as they continue to activate AWS sites. 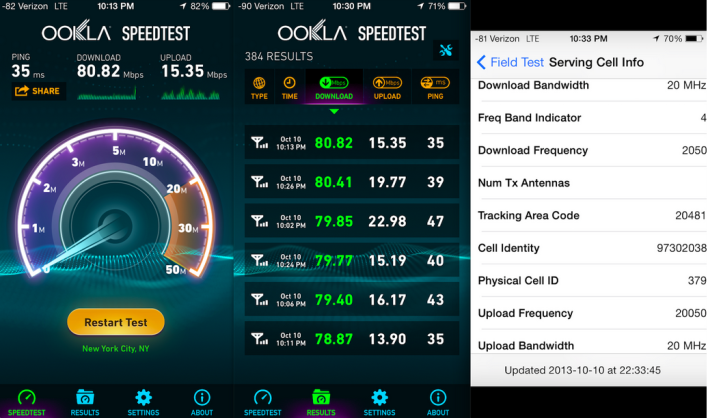 There are whispers of similar results out of Los Angeles and Chicago, but most are seeing these speeds around Bryant park in Manhattan. Keep in mind that you’ll have to have a device capable of running in band 4 (AWS) in order to see these speeds. We’re pretty sure that the Galaxy S4 is one of them, and would imagine the Galaxy Note 3 would be as well. Verizon said that devices released after the first half of the year could carry this type of connectivity. We’ll see if we can’t put together some sort of a list. Anyone seeing these impressive speeds?